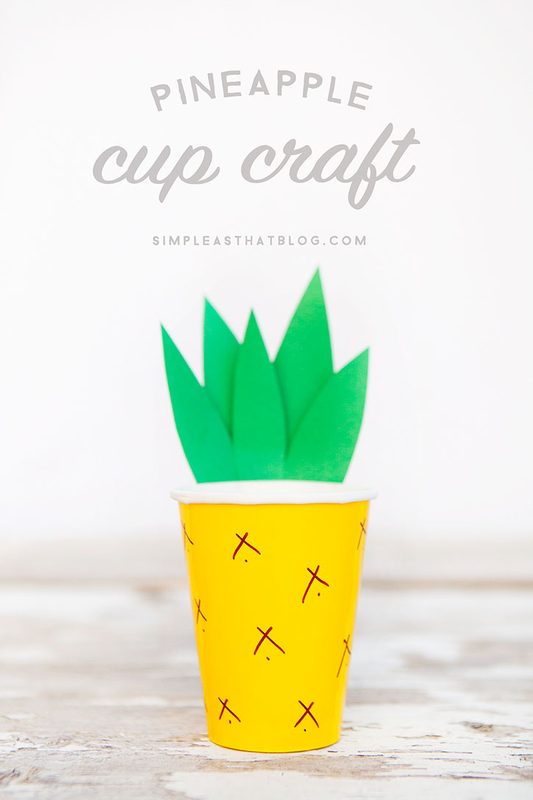 Pineapple Cup Craft – crafting with paper cups is so much fun! 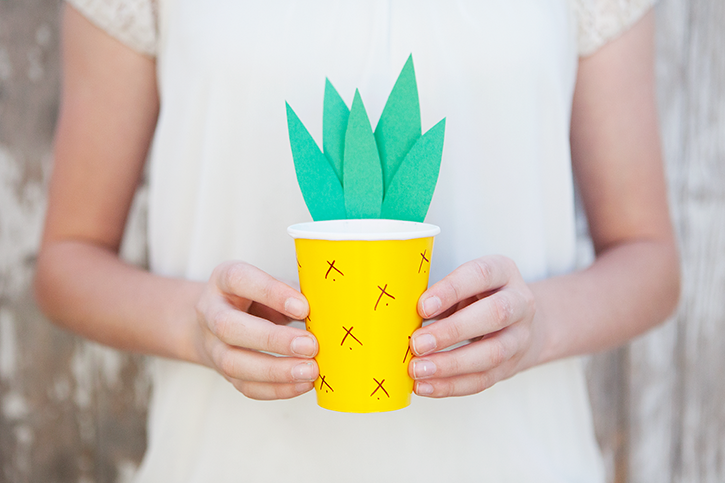 This Pineapple cup craft is a simple little project for the kids to enjoy this Summer. Decorate your pineapple cups then use them for party favours, to hold pens and pencils, a favorite snack or refreshing party drink! 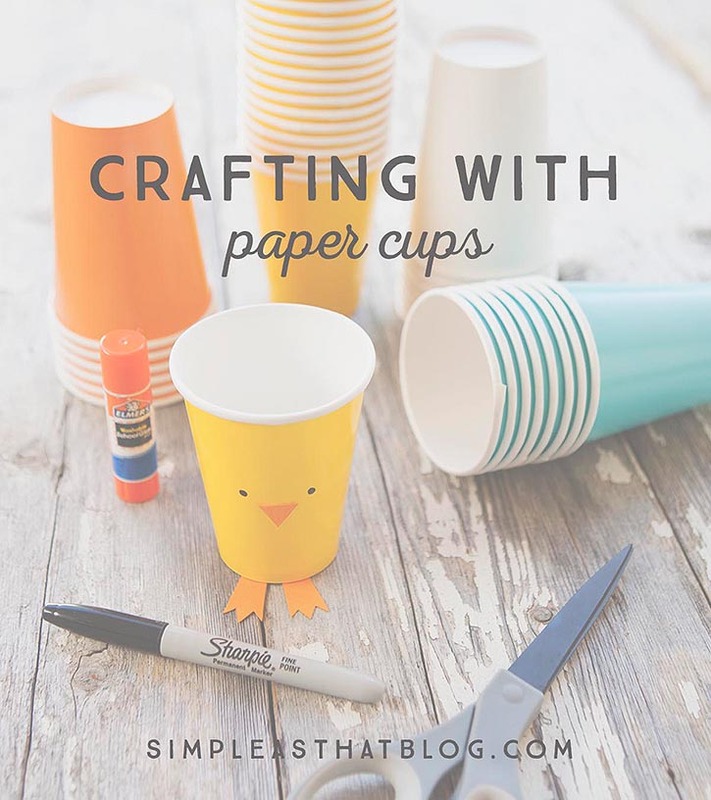 I always have paper cups on hand for crafting with the kids! 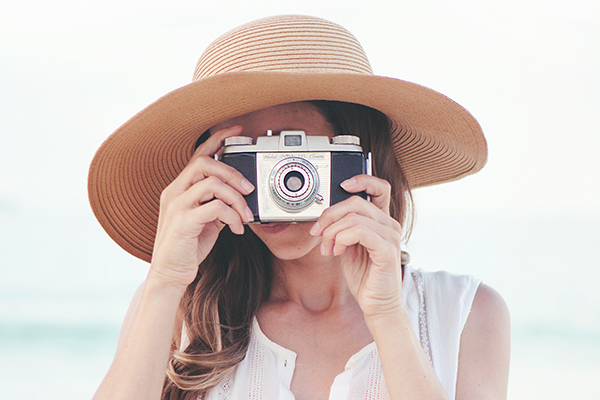 They’re inexpensive and come in all kinds of great colors! 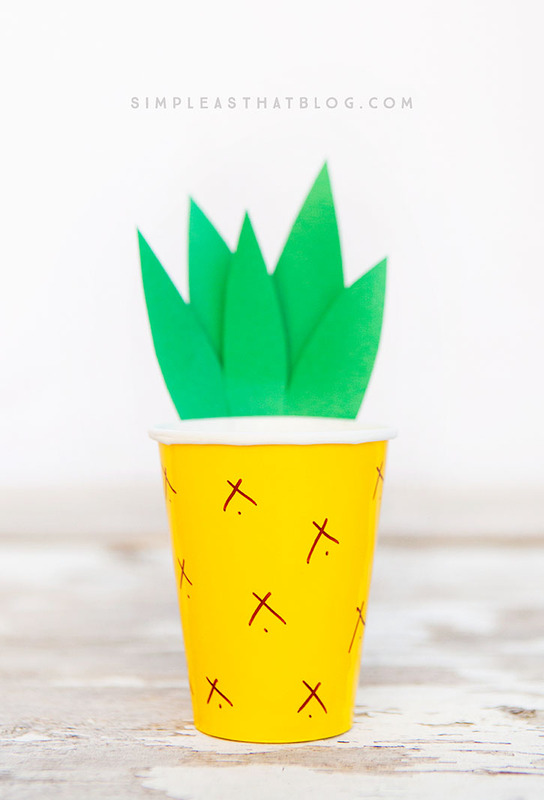 The kids and I have been on a mission to create anything and everything out of paper cups and today we wanted to share our latest creation with you – Pineapple Cups! They really are so easy to make but just look at how dang cute they are! 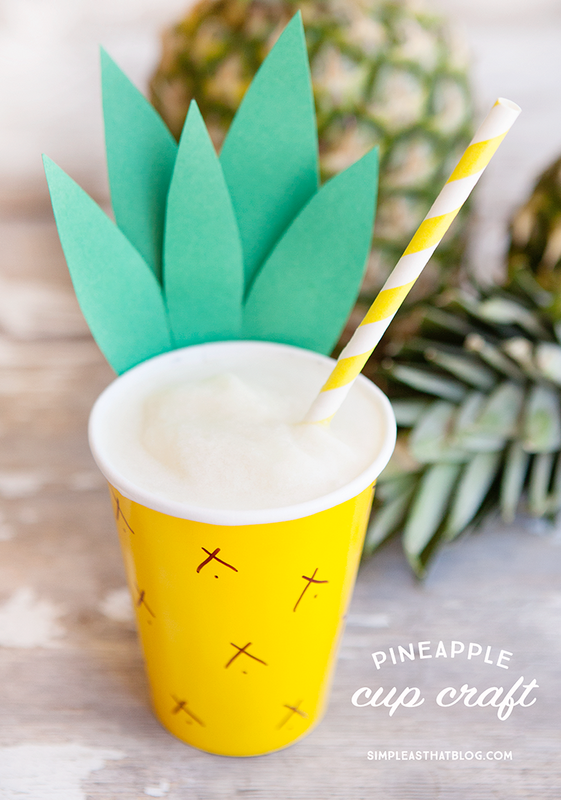 You can use your pineapple cups for just about anything, we used ours for our favorite family-friendly pina colada – so yummy! The recipe for that is coming to the blog soon! Step 1 | Start with cutting out 5-6 long skinny leaves out of green construction paper. 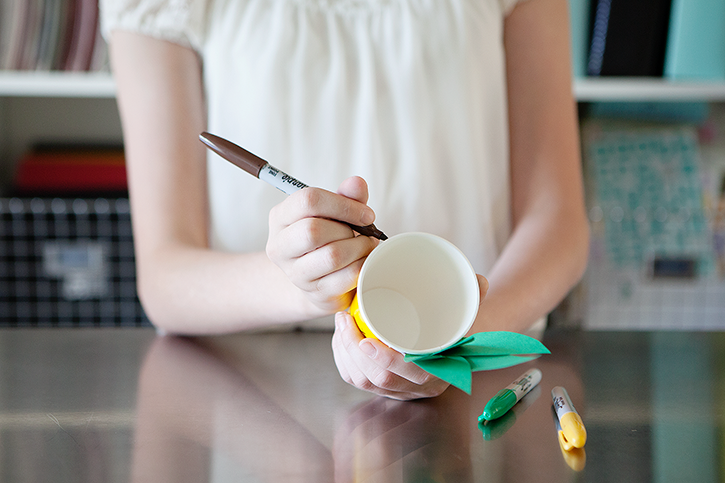 Step 2 | Attach leaves to the back of the cup using a gluestick. You can either attach the leaves to the inside or outside of the cup, depending on what you’ll be using it for. If you want to use your cups for drinks, place the leaves on the outside. Step 3 | Next draw some pineapple texture around the outside of the cup with a brown sharpie. Step 4 | Now just fill your cup with your favorite party treats, a yummy pineapple drink or use your cup to store pencils and crayons in! Here’s a quick video tutorial showing you the above steps in action. I mentioned that we used our pineapple cups for our favorite family-friendly pina coladas. My kids love them and they’re so easy – only four ingredients. Watch for the recipe coming to the blog soon – it’s definitely a keeper! 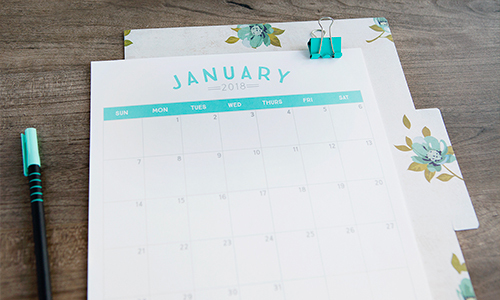 If you liked this simple project, be sure to stock up on some colorful paper cups for Summer crafting and follow along with our “Crafting With Paper Cups” series – we’ve got all kinds of cup crafts coming soon! 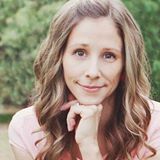 In the meantime, you can check out the Simple as That Cups Crafts archives here! Absolutely adorable! 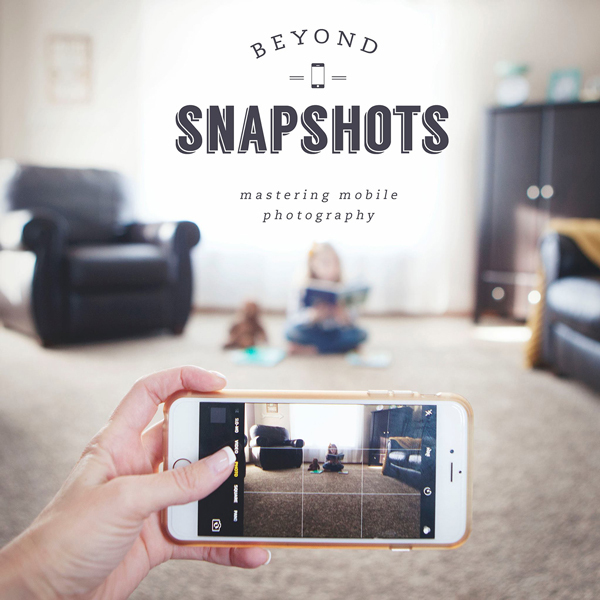 The photography is equally stunning. Love the simple idea, really like pineapple crafts at the moment.